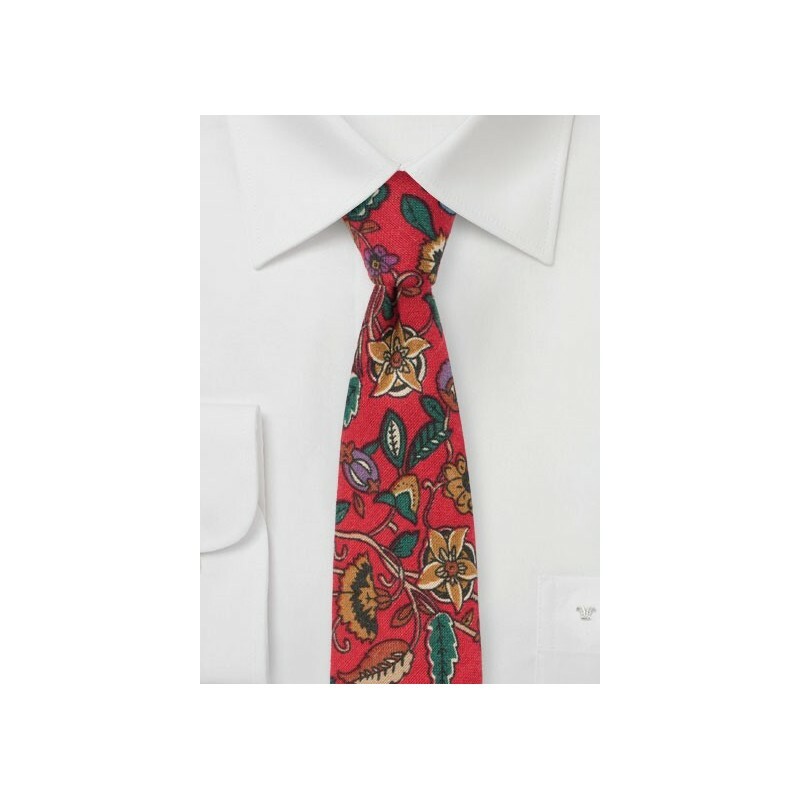 Bring out your most stylish side the moment you add this handsome vintage floral print to your classic suits, tweed blazers, or vests. The soft and matte flannel cotton fabric perfectly compliments the vintage floral design that remind us of old time window drapes or 1930s carpeting. 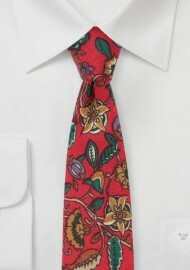 While no longer a good pattern for your drapes or furniture, it does look amazing on a necktie. The slimmed down width, the flannel fabric, and the vintage colors and pattern all create a stunning accessory you would be proud owning.